very great loss to the profession and a very great loss of a warm, sympathetic and ever helpful personal friend and colleague. By letter to Dean [Stint?] 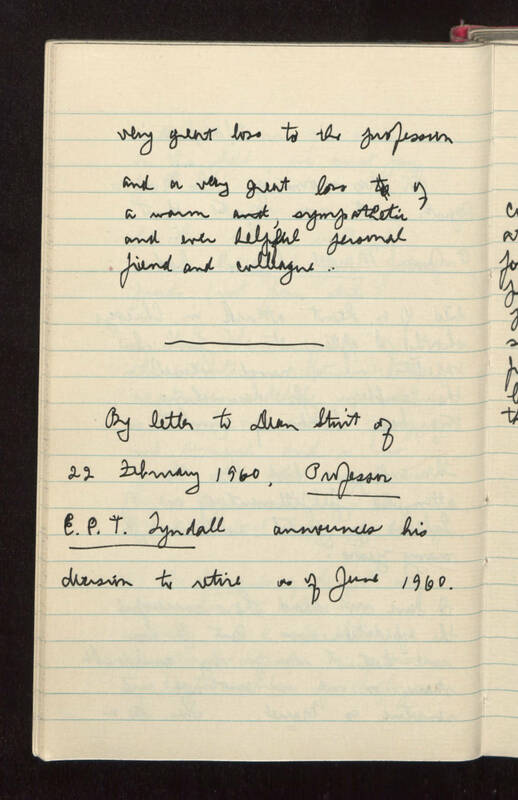 of 22 February 1960, Professor E. P. T. Tyndall announces his decision to retire as of June 1960.